President Muhammadu Buhari has joined operators in the power sector to call on international customers who receive electricity from Nigeria to either pay their bills or be disconnected. Nigeria sells power to the Republics of Togo, Niger and Benin, and classifies the West African countries as international customers. Officials at the Federal Ministry of Power, Works and Housing, told our correspondent in Abuja on Tuesday that the international customers, who pay for the power they receive from Nigeria in dollars, owed the country, a development that had increased the financial indebtedness to the power generation companies. 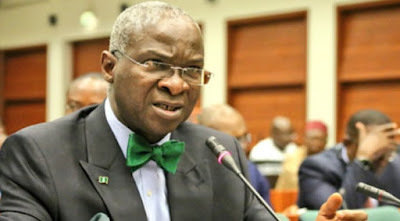 This was confirmed by the Minister of Power, Works and Housing, Babatunde Fashola, who, however, revealed that Buhari was working hard to ensure that the electricity debts by the country’s neighbours were cleared. Fashola stated that he had also directed the Nigerian Bulk Electricity Trading Company to go ahead and collect its money from the international customers. » State With Most Epileptic Power Supply?